Want your vehicle to kick off the line? Want an engine that growls and roars? Can’t get enough torque? Well, we’re here with the parts and practice necessary to make your vehicle perform better than any other car on the road. Your engine thrives on cold air. The colder the air, the denser it is, which means more air availability when your cylinders are firing. Plus, cold air intakes are larger. The surface area of an upgraded intake may be up to three times the size of a normal air filter, making air even more readily available for the mini-explosions that drive your engine. Your throttle body controls the amount of air that pumps into your engine. For optimal performance, you’ll need a throttle body that can keep up with your fuel injection system, providing your engine with the perfect mixture of fuel and air. Plant a high-flow cat-back system under your car, and pair it with a high-flow catalytic converter. Once again, flow is the key to enhancing your engine’s performance, and with a high-flow cat-back and catalytic converter, your car will convert exhaust more quickly, providing even greater airflow through the engine. You should also plan on installing an exhaust header with a higher capacity. The header pulls exhaust off the engine, sending it through your exhaust pipes and catalytic converter. 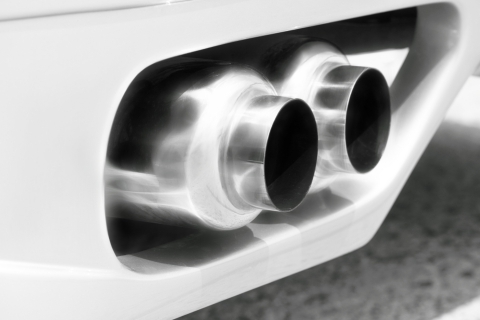 With a long-tube or shorty aftermarket header, your exhaust will whip through your tailpipes. Once again, airflow is the key to heightened horsepower. You can turbocharge your engine with compressed airflow. A turbocharger or supercharger can amp up the horsepower in your engine by 50 percent or more. That means way more torque when you’re accelerating. Not sure whether you should get a turbocharger or a supercharger? Here’s the difference: A supercharger provides added power the second you push the pedal, however, it may perform just a bit less after a bit of acceleration. A turbocharger, on the other hand, has a slight delay in performance (called turbo lag), but once the turbocharger starts doing it’s job, you’ll notice the kick. If you have a German-manufactured vehicle, we have the parts and know-how to make your ride more powerful than any other car you pass. We provide a variety of performance upgrades in addition to the aforementioned services; so if you have an upgrade in mind, don’t hesitate to get in touch with us for information. Book an appointment at our German-auto repair shop today! Here at Avalon, we provide auto upgrades for German vehicles, including Audi®, BMW®, Volkswagen®, Porsche®, and Mini®. Avalon Motorsports is conveniently located in Denver, at 6950 East Colfax Avenue.